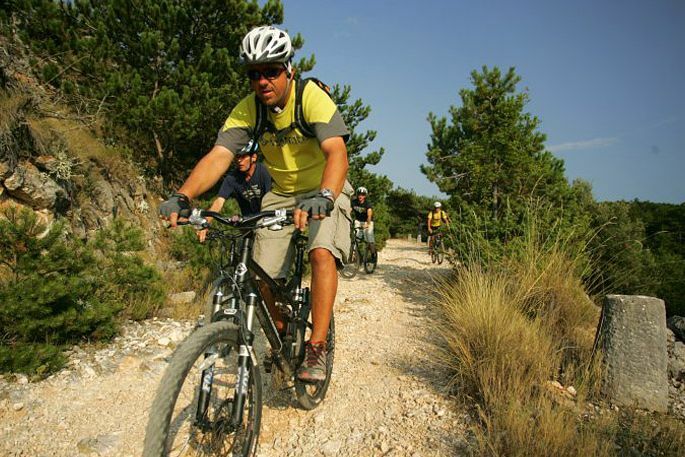 We will start our mountain biking excursion by van transfer to the highest peak of all Adriatic islands – Vidova gora ( 778 m ). 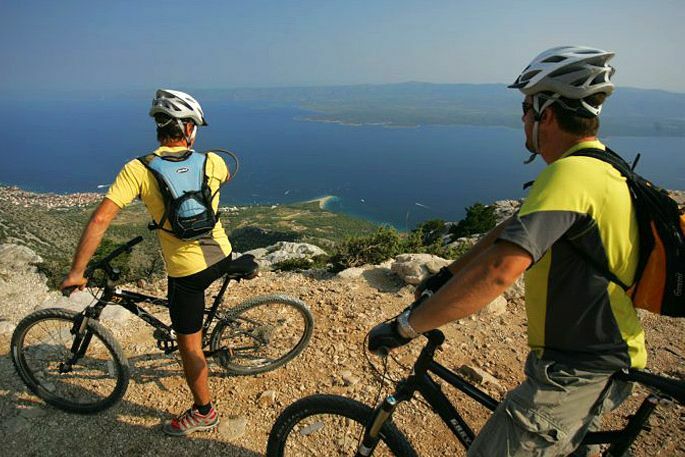 Arrival to the belvedere where you will enjoy a breathless view of mid Dalmatian islands. 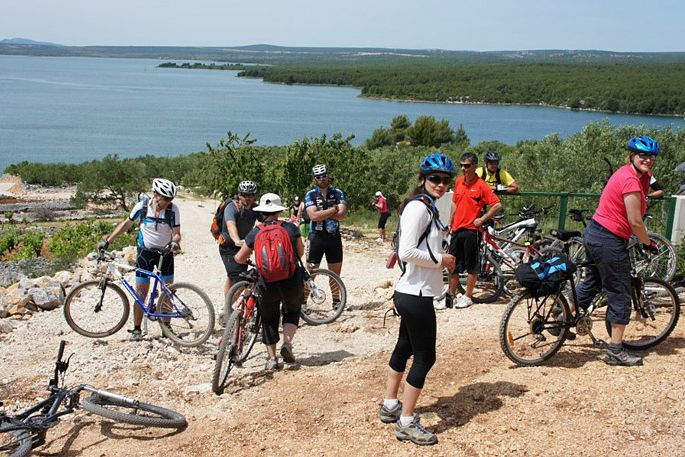 We will take some short time to take photos of this unforgettable view before we start our biking. 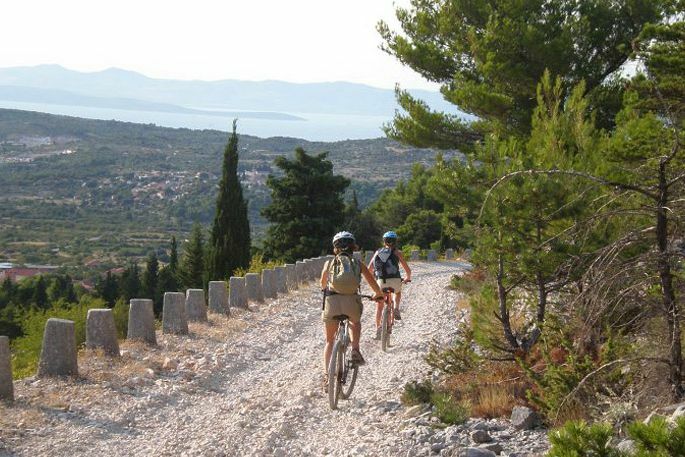 We will first take easy downhill by white road to Nerežišće and further to other typical inland villages - Donji Humac, Dračevica, Ložišće. 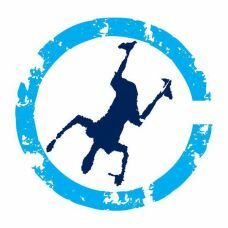 We will take a break when we see fit and spend some time in one of these authentic island villages. 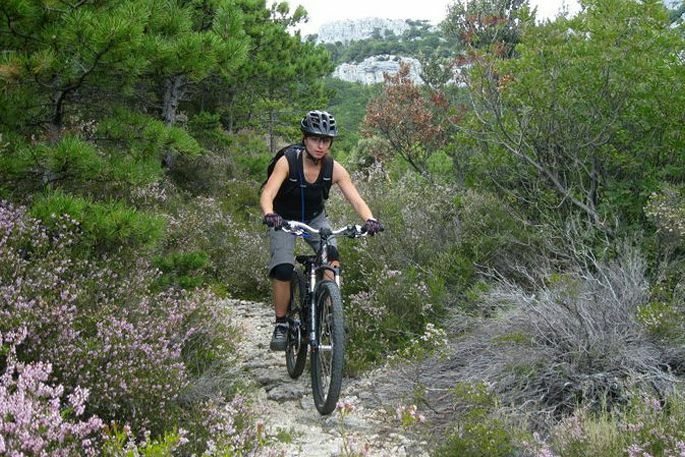 While cycling you will be surrounded by well groomed hundred year old olive groves and thick pine woods. 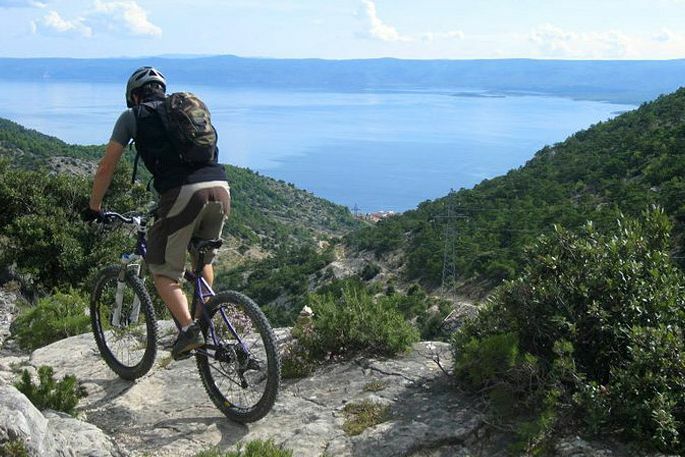 We will reach the sea in Sutivan where you will have time to relax before your transfer back.